NSBM Green University Town, the first and the only sustainable initiative in Higher Education in whole of South Asia, is now offering Postgraduate programs at their exclusive Green Campus in Pitipana, Homagama. The Green University Township was started as a way of providing the students a complete university experience with state-of-the-art academic and non-academic facilities, including modern lecture halls, computer labs, independent study areas, a sports center, swimming pool, gymnasia and much more. The Campus also boasts of an open-air theater and a 550-capacity auditorium to support and improve students’ creative facet. Currently, undergraduate programs in Business, Computing and Design are offered at the NSBM, varying from UGC approved local degree programs to foreign university programs. The University of Plymouth, UK, Limkokwing University of Creative Technology, Malaysia, University College of Dublin, Ireland, Victoria University, Australia and University of Western Australia, Australia are proud partners of the NSBM. All Universities are highly ranked in the world in their respective fields. Adding to the portfolio of degree programmes in highly demanded subject areas in the industry, NSBM is now pleased to present their Postgraduate programmes. Both the MBA programme and the postgraduate diplomas are approved by the University Grants Commission of Sri Lanka, and is modeled after top ranked courses and syllabi around the world. The MBA is a two-year part time programme with the option to exit with an MBS (Master of Business Studies) in one year. The postgraduate diplomas are of three subject areas, namely, Business Management, Human Resource Management and Computer Networks. In a scenario where resources are becoming more and more scarce, a business professional is required to be shrewd and knowledgeable in using those resources to bring the best outcome in the most efficient manner. A postgraduate qualification is far more than providing theoretical knowledge; it is the sound aim of all NSBM programmes, including the postgraduate programmes, to make the courses a pathway for the participants to gain real world knowledge and know-how to become the champions of the work place. The MBA at NSBM is designed to follow the same principle as the facility itself, Sustainability, and it aims for sustainable transformation of the students who follow it. It is modeled with the focus of making the successful candidate an effective leader, who is stimulated tocontinued career development and who can contribute to sustainable business development. 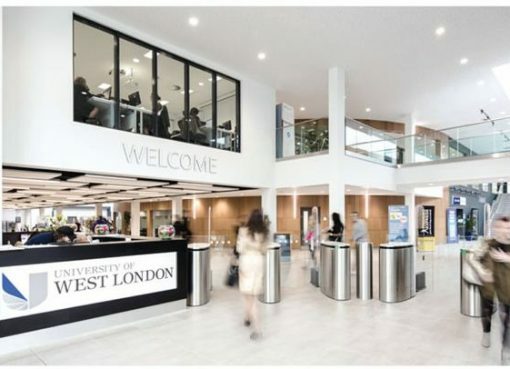 The postgraduate programmes also aim at making the candidates conversant with an area of their choosing; the Business Management programme will give everyone an all-round idea of business principles and the Human Resource Management programme is designed for HR professionals or employees who wish to gain an insight in to the HR arena in a business. The IT professionals can take up the Computer Networks diploma to expand their expertise around the area of computer systems and networking. The MBA is open for students with an Undergraduate degree in Management, or, students who possess a degree is any discipline coupled with substantial and relevant work experience. Others, with a professional qualification and relevant work experience in a managerial capacity at an organization acceptable to the NSBM also can apply; there are a few seats available for entrepreneurs, researchers and senior managers with an excellent and outstanding track record. Candidates must be more than 23 years of age, and have a good working knowledge in English. All interested students can visit the website, www.nsbm.lk and download the MBA application, fill it and hand it over or post it to NSBM Green University Town, Mahenwatta, Pitipana, Homagma with the required documents attached. It should also be kept in mind that 2nd April 2017 is the final date to do so. Applications are accepted on the first-come-first-served basis. There will be a selection test and an interview to choose the candidates for the programme. Candidates who wish to follow the postgraduate diploma programmes can now call 011 544 5000 or 070 33 88 702 to set up an appointment for the entrance interview. Make your dream come true with a postgraduate qualification from NSBM, the leader in higher education in Sri Lanka!